Edvarcl Heng has reviewed Sony's Bean. 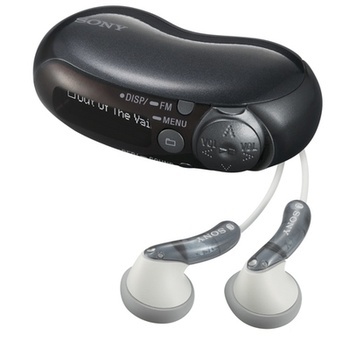 Who could imagine anyone but Sony to have the creative gall to fashion an MP3 player after a bean? I discovered several drawbacks that were not mentioned by the reviewer. First, the player uses its own format, which leaves no choice other than using their inconvenient and slow software for copying tracks. Second, Sony's paranoic copyright protection policy restricts the usage of the device to single computer, unless you 'authorize' it.